Is the industry moving toward a future in which there are fewer, more high-tech, environmentally controlled greenhouse facilities producing floriculture crops? The Top 100 Growers think this may be the outcome, as crushing labor costs and shortages give no choice other than to adopt sometimes expensive automation and technology that could be restrictive for many growers. 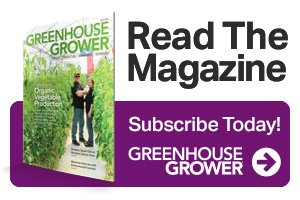 Greenhouse Grower’s Top 100 Growers Survey for 2018 shows that the ongoing trend toward the big getting bigger is continuing, as large growers keep expanding to capture additional market share. With 240,289,031 square feet of environmentally controlled greenhouse space, the nation’s largest growers account for 59% of the growing space in the industry, compared to the total greenhouse space (409 million square feet) in the most recent USDA Floriculture Crops Summary for 2015, and 33% of the market, if measured against USDA’s 2015 total covered area figure (737 million square feet). Significant growth in the past year occurred among the Top 100 Growers, with 29 growers reporting they expanded production. The biggest ranking swap is in the top 10, with Altman Plants moving up the rankings to No. 2 after expanding by 1.6 million square feet of environmentally controlled greenhouse space, trading spaces with Costa Farms at No. 3. And although Costa purchased Green Leaf Nursery in February, the operation is reporting 3.7 million fewer square feet in production space than in 2017. Color Point added another 572,800 square feet, and Seville Farms moved up a spot after expanding by 885,000 square feet. With nearly a third of the Top 100 Growers participating in one of the two larger sustainability certification programs available, we decided to highlight these growers’ accomplishments on the list below. We didn’t include local sustainability programs; however, we will consider expanding this recognition in the future for a more comprehensive look at a growers’ sustainability efforts. Check out the complete list below! 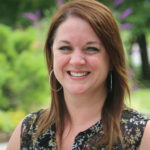 Laura Drotleff is a former Editor for Greenhouse Grower. See all author stories here.